Guarded by the string of peaks that make up the majestic Sierra de La Cabrera, discovered seven municipalities of easily accessible due to its proximity to the n-I road to Burgos. Since ancient times, its close relationship with the old road to France, It has led to that the majority of these municipalities have inherited to be passages to the passenger service, fact that has survived to our days, Ancient inns and sales remember life of yesteryear in these population centres. The sub-region of the Sierra de La Cabrera, It offers to the visitor who arrives from Madrid, a first insight into the Sierra Norte. The diversity of Rocky forms, the colorful tapestry of vegetable and the strategic location of the population centres are part of the tourist attractions that have all the municipalities that make up this sub-region. Lozoyuela - Navas - seven churches, Bustarviejo, Cabanillas de la Sierra, La Cabrera, Navalafuente, Valdemanco and Venturada are the municipalities that make up this sub-region of important livestock tradition and where the countryside is still the essence of the past, appreciable through the meadows of collective use, fenced meadows, branding Colts, roads and paths, cattle trails, etc. 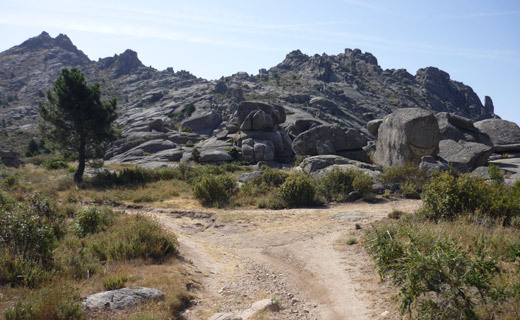 From the point of view of the physical environment this subregion is considered a zone of transition between the plain and the mountains and include the granite landscapes, whose more relevant example is all the ridge of the Sierra de La Cabrera its continuation toward Bustarviejo. The vegetation of this sub-region stands out due to the presence of large patches of thickets of jara pringosa mixed with junipers, Oaks, Pyrenean oak, etc. We highlight an area of pine forests in the northern part of the Sierra de La Cabrera and a rich riparian vegetation around the small rivers that flow through the entire sub-region. The municipality of Venturada opens its doors and invites you to see the region of the Sierra Norte to anyone here come. Its topography, its rich culture and customs give us the guidelines of the charm that holds all of the region. As a good host teaches us how the relief rolls, the environment is cleared of the urban and grow the colors in the landscape of each station. With this background, We arrived at Cabanillas and Navalafuente in areas less high and more plain with beautiful meadows of Turkey oak. To advance northward closer to areas of higher elevation and mountains to learn the following municipalities, Bustarviejo, Valdemanco and La Cabrera, It is the most mountainous terms of the subregion, where to find altitudes above the 1.500 meters and finally arrived in Lozoyuela - Las Navas - Sieteiglesias, municipality that offers a plain and hilly landscape with granite formations contrast rounded and extensive pastures of livestock exploitation which even today are still important from an economic and environmental point of view. 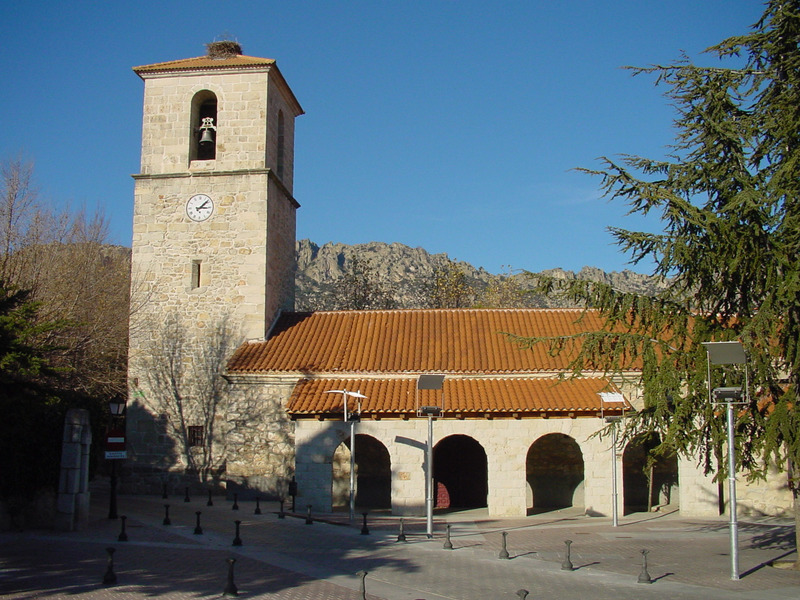 In the municipality of La Cabrera we find the Sierra Norte "Villa San Roque" tourist Innovation Center, where the visitor can gather all kinds of information in this area that we call Sierra Norte de Madrid. The Cabrera also has a regional centre of the humanities "Cardinal Gonzaga", It houses two important pictorial collections, a library, an auditorium, as well as various rooms and workshops.